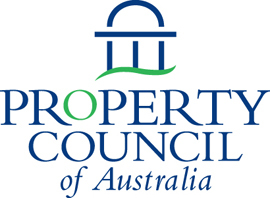 Join us in Melbourne as we announce The Property Council of Australia/MSCI Australia Annual Property Index for Q4 2018. Over the last couple of years, the total returns being achieved on Australian commercial real estate investments have been remarkably stable but the headline stability has masked several important underlying trends. For example, booming office markets in Sydney and Melbourne combined with a long awaited recovery in Perth have helped drive positive momentum in the office sector while returns in the retail sector have softened. Industrial returns have picked up as returns for hotel and other non-core investments have slowed. And while yields have continued to firm, total returns have become increasingly reliant on capital growth. Have these trends continued and what are the potential implications for investors and managers? Please join us as we share the latest index results and host a panel to discuss what this means for Australia’s commercial real estate markets. MSCI provides real estate benchmarks and portfolio management tools for the commercial property market in Australia. The Australian direct property index tracks the performance of almost 1,500 property investments, with a total capital value of around $200 billion AUD.